Immigrant entrepreneurs play a critical role in the economic vitality of our communities. They start businesses at twice the rate of U.S.-born residents. Immigrant-owned businesses account for 28 percent of Main Street businesses, while immigrants make up only 13 percent of the population. They are keeping our main streets humming, providing jobs for their neighbors, and sparking local economies with their entrepreneurial energy. Despite these facts, immigrants and other underserved communities are often disconnected from mainstream services and face obstacles when seeking support. Cities looking to spark their local economies have launched initiatives to address this gap and fully leverage the potential of entrepreneurship. In Syracuse, New York, Welcoming Economies Global Network member Centerstate CEO is fostering a comprehensive network of services and supports for entrepreneurs at every stage of growth. Innovative programs like With Love is one example of the power of partnerships and collaboration in economic revitalization. 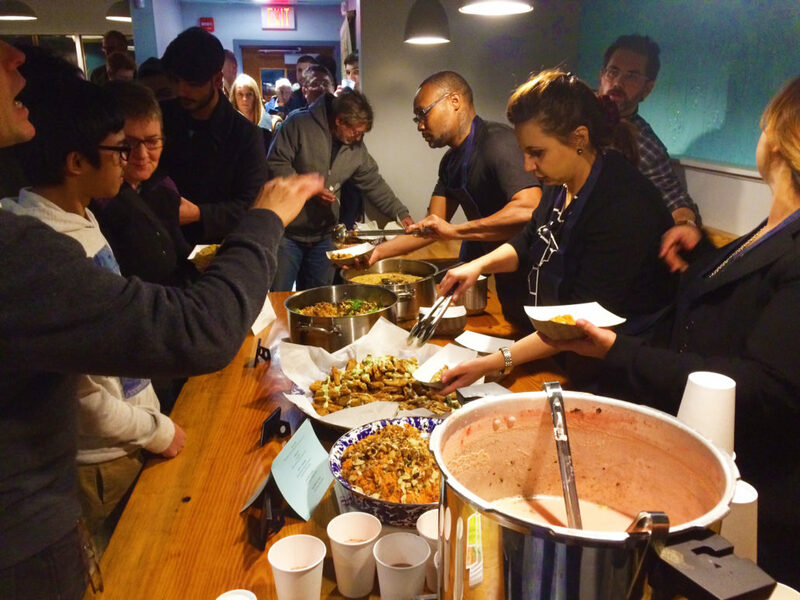 A few weeks ago, Syracuse’s first restaurant incubator launched, and the line of customers out the door from open to close showed how much excitement the sneak peek generated. With Love is both a teaching restaurant and entrepreneur incubator that will feature a food entrepreneur and national cuisine every six months. The unique revolving cuisine model combined with a workforce training program and entrepreneur incubator will spark neighborhood activity and economic opportunity for city residents. Centerstate CEO’s Up Start program is a collaborative business development program that connects underserved existing businesses and aspiring entrepreneurs to the tools and networks that help them thrive. Up Start graduate Adam Sudmann manages With Love, and brings expertise in restaurant start-ups and ethnic cuisines in part from his founding of My Lucky Tummy, a popular pop up food court that introduces the Syracuse community to cuisines from across the globe through its immigrant and refugee communities’ cooking. Onondaga Community College’s (OCC) students work as restaurant staff while receiving hands-on training in all aspects of running a restaurant. 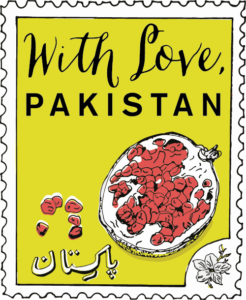 With Love features a new chef and food to represent the region they come from in revolving six-month periods, all of whom will also be enrolled in Up Start. With Love will be followed by the country name of the entrepreneur in residence. 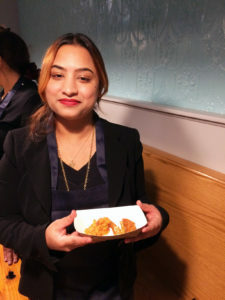 Entrepreneur Sarah Robin, originally from Pakistan, was selected to be the first ‘restauranteur in residence,’ and she will showcase the cuisine of her home country. Interested in opening her own restaurant one day, Sarah has the ability to grow her clientele, perfect recipes, and learn the ins-and-outs of running a restaurant before taking the leap into her own place. When she is ready, Up Start will be there to support her along the way with training, technical assistance and professional services, lending and real estate services. The program is the result of a unique collaboration spearheaded by Centerstate CEO, Onondaga County’s Industrial Development Agency and Onondaga Community College (OCC) in Syracuse. OCC sought guidance from Centerstate CEO on developing a food service management training program (to put to use federal TAACCCT grant funds whose purpose is to facilitate greater employment by improving workforce education). Centerstate CEO then facilitated the acquisition of a delinquent property from the Greater Syracuse Land Bank by the County’s Industrial Development Agency, which now rents the space to OCC to house the program. The property was a former restaurant in need of very costly repairs that has been renovated for the restaurant incubator. The collaboration is reflective of the robust ecosystem Up Start is building to support underserved entrepreneurs in Syracuse. Up Start adapted the approach of WE Global member the Neighborhood Development Center (NDC) in Minneapolis-St. Paul, which brings more than 20 years of expertise in program development and entrepreneurship training for immigrants and minorities. Syracuse joins a host of other WE Global members, from Detroit to Philadelphia, launching entrepreneurship programs for immigrant and minority communities.